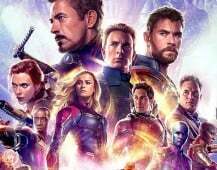 Plenty of filmmakers have shown their support for comic book adaptations over the past few years, but every now and then, we also hear of some directors who aren’t fans of the ever-growing genre. 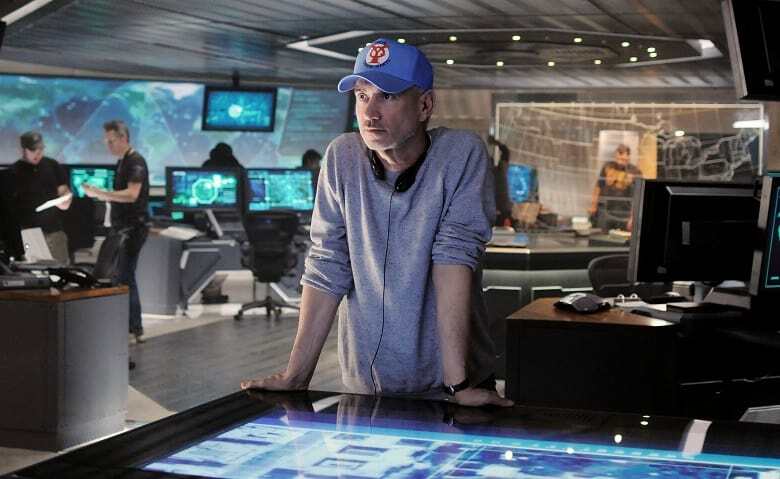 This time around, we’ve got Roland Emmerich, who you may know from various disaster movies such as Independence Day and its upcoming sequel, The Day After Tomorrow, 1998’s Godzilla and last but not least, 2012. Apparently the director is a fan of original ideas, so it’s easy to see why he doesn’t appreciate these movies as much as some of us do. Truth be told, I’m kind of glad he doesn’t like them, since this probably means that he won’t get his hands anywhere near a beloved comic book character. What do you guys think? Do you agree with Emmerich’s comments? Be sure to sound-off your thoughts in the comment section. Um a ton of the Marvel characters are guys that were just regular Joe Schmos that happen to get superhero powers. That’s pretty much the basis for almost all superheroes. That’s actually literally not every Marvel character. And for the life of me, I don’t get why so many people get mad at the majority of the world, because they don’t like superheroes. You all do realize, that you are in the minority, right? Interesting choice of the pronoun “You”… Are you implying that you aren’t actually a fan of superheroes? Or, are you implying that DC characters aren’t superheroes? What on earth are you even talking about?? Use some sense man. Of course I like superheroes, & of course DC characters are superheroes. I just told you that I have no problem with Superheroes. Perhaps if you spent more time listening to what I am actually saying, rather than looking for typos in my posts, then you’d know what I’m talking about. I don’t believe you are the same person I have debated in the past. The caliber of your English is significantly lower than what I have come to expect from you. My question is: how many people are you? Let me know when there’s a point you’d like to make. Otherwise, I’m out. Awesome. Come back when you’re the smart version of Sammy. I think what he means is that his protagonists aren’t superpowered. This is false, especially for about 70% of the Marvel Universe. In other words, he’s a fan of his own stuff only. And you know this, because…. Which is not a coherent argument, per se, but essentially that’s what it boils down to. No, you said je was a fan of his stuff ONLY. How do you know that the only material je likes is his own stuff? Especially when there are plenty of films out there that fit his precise description? Because he didn’t speak about those movies…he spoke about HIS movies. Wow, would an idiotic assumption. So, because he only mentions his movies, means he only likes his movies?? You’re stooping to new lows. I didn’t realize how much damage I’ve been doing to you, by hitting you in the head with so much anti-Marvel info as of late. No, it’s just that you’re retarded…everyone else can see this guy is full of himself. The fundamental concept behind Marvel was that they are regular guys/gals who acquire extraordinary powers… Roland, you ignoramus. Not all Marvel characters fit that description. In fact, more than half of them don’t. This is true. I was referring to the original concept behind the characters that Stan Lee helped develop in the 60’s. FF, Spider-man, Hulk, Doctor Strange, Iron Man, etc. were all people who became superheroes (though all were exceptional humans to begin with). There are, of course, exceptions: X-Men, most of Jack Kirby’s characters, etc. The point remains that FF (the first superhero book from Marvel), and Spider-Man (the face of Marvel for over 50 years) portray characters who were normal people who acquired fantastical 😉 powers. The X-men are not “exceptions”. They represent a HUGE part of Marvel’s franchise. Also, I notice you didn’t mention Thor. Besides, why are you trying to limit the category to just what Stan Lee created? I don’t recall Roland doing that. Speaking of which this entire aspect of the discussion is one big goal post transfer…. Roland said nothing whatsoever about characters gaining powers later on. He simply said he doesn’t like characters putting on capes & flying around. More like a few don’t. Most of the major Marvel characters are what you could consider regular people living regular lives aside from having special abilities and using them for good. Right, because The X-Men live “regular lives”. Too bad mutants outnumber heroes that are “regular people” in the MU, nearly 3:1. And what about those Inhumans? That’s a whole ‘nother RACE of people. But all of this is completely irrelevant to the original point, which was that Emmerich doesn’t like people with powers whatsoever. It’s completely irrelevant as to how they acquired those powers. I disagree with that interpretation of Emmerich’s quote, but in any case, my comment was directed at your claim that most Marvel characters don’t live regular lives. Doesn’t matter what you disagree with, that’s not what he said. And it’s false that “most Marvel characters live regular lives”. You don’t think Peter Parker is a regular guy with powers? So you’re going to nickel and dime me, with exceptions to the rule, instead of acknowledging that MOST of the MU don’t live as regular people with powers? Never mind the fact that it’s completely irrelevant to what Emmerich actually said. Well if you’re gonna claim that most of the Marvel Universe aren’t “regular guys”, I’m gonna need real examples to agree…but when you go down the list of Marvel characters, you know it’s not true. Other than a few exceptions, most of them have normal lives outside of saving the world/country/city/neighborhood. Read my other posts, man. I’ve already answered this several times here. You’re an idiot. I gave you the examples in this particular discussion tree. Stop acting like a fool, & learn how to read, or else I’m gonna consider putting you on the ignore list. Go ahead and do it. You know I owned you on every argument we’ve had; might as well give up and hide so I won’t embarrass you in public…you never stood a chance anyways. LMAO. All that money Marvel has been giving Trump has got you delusional. But that’s nowhere near enough to dissuade me from Axxe(ll)ing you. Nice try though. So buh-bye Marvel chump. My &$$ sends its regards. Sounds like sour grapes, aka MARVEL’S TOO SUCCESSFUL! Good job Roland. At the tender age of 60 you finally learned that different people have different tastes. Congrats. Differing subjective tastes doesn’t make it silly though. I’m sure many in North America are wondering why the Hoff is such a mega star over there. But I say to each their own. You have such a black and white perspective it’s almost comical. Like you’re not even a real person. As a German, Roland should be used to people dressing in funny costumes and throwing their weight around, causing lots of property damage. That’s like saying that as an American, you should be used to people being made to ride the back of the bus, & forced to drink from separate water fountains. Oh, that’s right…. You weren’t even born when that was happening. Well you & Roland have that in common. I guess Emmerich should’ve directed X Men : Apocalypse. It would fit in to his genre specialty. This guy needs a steaming hot cup of STFU. Let us know when you make a good movie, Roland. HA! Is he serious?!? Maybe Marvel movies are too coherent for him to follow. Then he’d be alone in that. I’m a person that can appreciate the fact that Superheroes are not everyone’s cup of tea. Superheroes are largely an American concept, so alot of what those of us that grew up on them find appealing, is lost on people who grew up in other places. This is true. Superheroes are legitimately silly, and a childish pursuit. I think the problem with what he said is the implication that they are more silly than the films he makes. Hypocrisy, thy name is Roland. Also, you feelin’ okay there? Some pretty shoddy grammar in your comment. I don’t agree that “superheroes are silly.” They are the pantheons of our day & time. They are the personification of ideals & morals. Honestly, I don’t really know Roland, or keep up with which films he’s directed, enough to care. Bit that’s beyond my point. Superheroes transcend any one genre, so the quality of his movies are irrelevant for me. And also, can you point out my grammatical errors? I’ve combed my last post more than once, & I’m not seeing it. Every story is the personification of the ideals and morals of the writer. Whether the medium is silly or not has no bearing on the concept of storytelling. We can agree to disagree on whether comics are silly, I think. Ah, so you’re nitpicking. Got it. Nothing you mentioned makes the conception of superheroes silly, least of all by default. So, is Horus silly? Or Zeus? Or Quetzalcoatl? Why is one pantheon considered “classical”, while another is considered silly? not alot of capes in marvel movies.